This picture is sort of interesting. 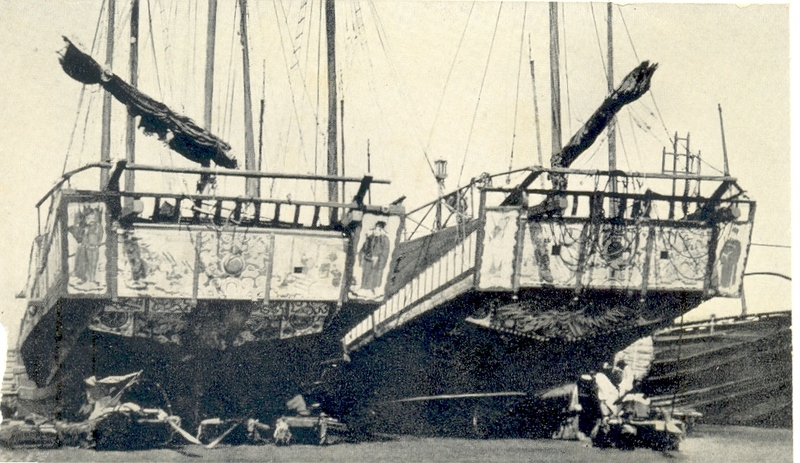 It was taken some time in the late 1920s or early 1930s and shows two nineteenth century Chinese war junks moored up near Hong Kong in southern China. They appear to be in fairly good condition, still afloat and with images of gods etc still clearly painted on the sterns. They also appear to be partially still rigged. Not sure what happened to these junks or their histories but they were still around in the 1930s.